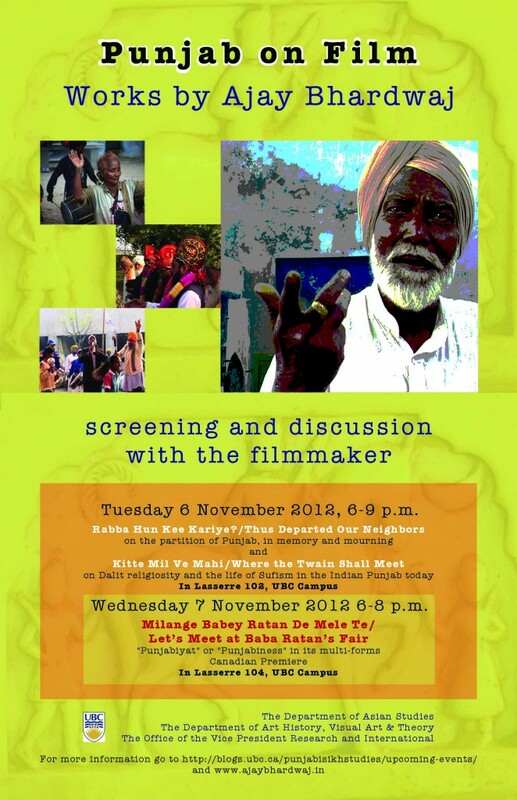 Tuesday 6 November 2012, 6-9 p.m.
on Dalit religiosity and the life of Sufism in the Indian Punjab today. Wednesday 7 November 2012 6-8 p.m. Sponsored by the Department of Asian Studies, the Department of Art History and Visual Art, and the Office of the Vice President Research and International.